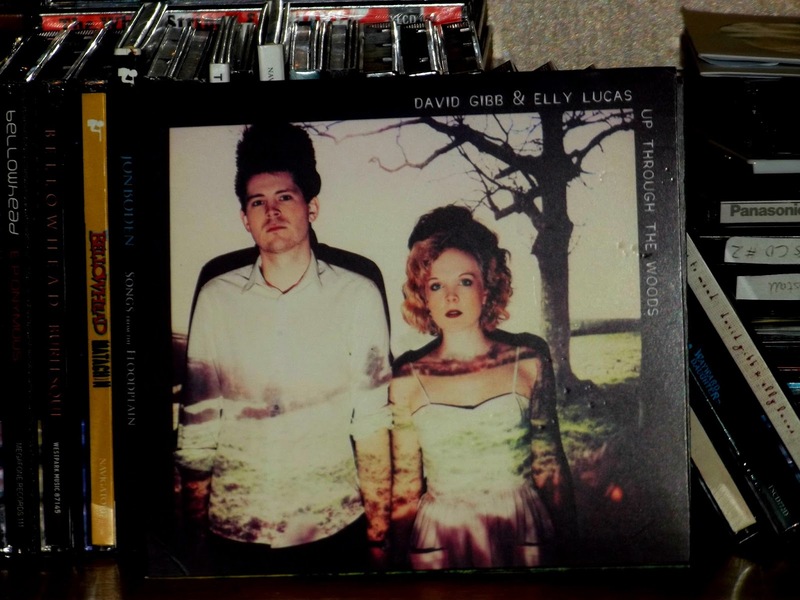 David Gibb and Elly Lucas are a wonderful young folk duo from Derbyshire. When I first heard that they were soon to be releasing a new album, I was really quite excited. I knew that if it was anywhere near as good as their debut – ‘Old Chairs To Mend’, then it would be something special. And I certainly was not disappointed. The album artwork is really rather wonderful, featuring Elly Lucas' unique photography. Furthermore, I think the ‘Thank Yous’ at the back of the sleeve notes have to be the most amusing I have ever read. Something I particularly like about Gibb and Lucas’ work is that they are incredibly good song writers and all their songs have rather interesting stories. The album begins with the track 'Jackwire' which is a fantastic toe tapper with a catchy chorus and incredibly beautiful harmonies from David and Elly. It really drew me into the album and I knew immediately that it was going to be good. The song is about Luddites who wrecked many weaving frames during the early 19th century to protest against the modern technology that had rendering many weaver unemployed. This is a brilliant example of David Gibb’s supreme song writing skills. Furthermore, the song is enhanced by David’s rhythmic guitar playing and Elly’s bouncy fiddle playing. One of my favourite songs in the album is ‘Four Poster Bath’. It is a slightly strange love story between a woman who loves to bathe and a man who is willing to do anything to gain her love. I think it is a rather sweet song and I really like the tune that so fittingly accompanies the lyrics as well as Gibb’s delicate guitar playing on this track. The title track of the album is ‘Up Through The Woods’ which is about walking through a woods and all your cares departing. I particularly like the ending of this song where it is sung as a round. It is set to the tune of ‘Old Tom Of Oxford ‘which is a morris tune and gives the song a very traditional feel. This is especially due to the rhythmic element of the song enhanced by Jim Molyneux's percussion playing. Again it is a David Gibb creation and is just a wonderful, short, catchy song. On a similar theme is ‘The Way Through the Woods’ which is a poem by Rudyard Kipling that also features on the album. David Gibb has written a new tune for the poem to be set to which brings out the beauty of Kipling’s words and matches so wonderfully. The song is about the woods going back to nature. The instrumentation on this song is just perfect – it contains wonderful clarinet playing by Oli Matthews which makes the song very affecting. This is a particular highlight on the album for me. Each and every song tells a memorable story or has a memorable message, from a man who fought at the Battle of Waterloo to the redevelopment of Derby city. If I were to choose a favourite track from the album, it would have to be 'Lovely Molly', with moving vocals from David. It tells of young men going off to war leaving the women behind. It's one of those songs, that is sort of unexpected but makes you want to listen to it over and over. Each song has a distinct quality to it, with immaculate musicianship from both David and Elly. What I'm really saying, is that I can tell that this is going remain one of my favourite albums for many years to come. But... but... it's obvious that the best song on the album is Paper Boat. Obvious!